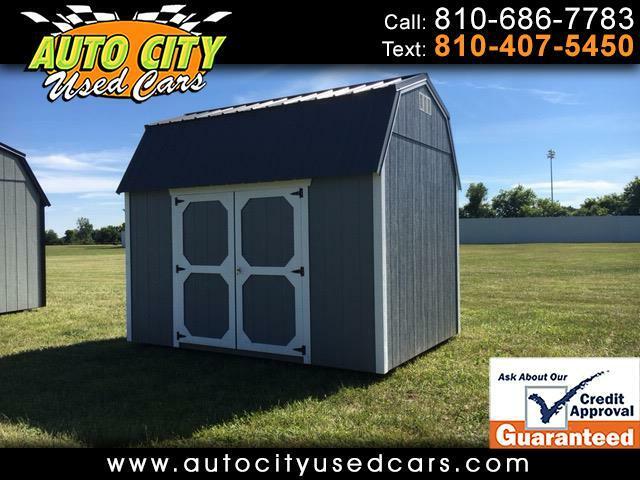 New 8 x 12 Lofted Barn with gray exterior with white trim and black metal roof. Why pay for a storage unit when you can rent to own your own OHB building? Exterior made of 3/8" Smart Panel, engineered wood product that is water resistant - Zinc Borate Treated throughout to help resist fungal decay and termite damage. Come with a 50 year limited warranty!